The Milwaukee SDS Chisel Bits are made from premium quality alloy steel and the reception is machined to precise tolerances ensuring less wear on the chisel and power tool. We stock a large range of chisel bits for use with SDS drills, so you can find the best one for the job. Select between individual bits to add to your toolbox, or invest in an SDS chisel bit set, to make sure you always have the equipment you need to hand. From trusted brand Milwaukee, every SDS chisel bit in our range is made from high-quality materials and designed to be strong and durable. This includes convex angle heads to maximise energy transfer from the power tool, alloy steel and carbide for longer life and increased vibration absorption, and machined tips for more effective material removal. 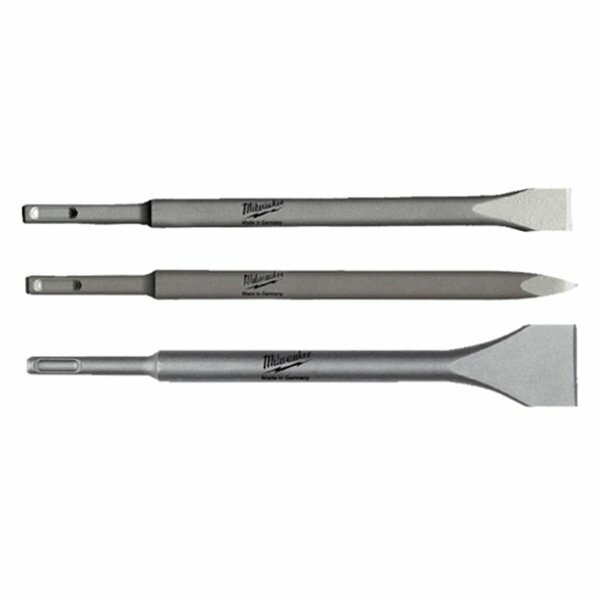 Shop chisel bits for SDS drills that have been specifically designed to remove plaster and tiles, without damaging the walls or surfaces underneath. Alternatively, browse our more robust SDS Max chisel bits, which are ideal for breaking and cutting concrete. 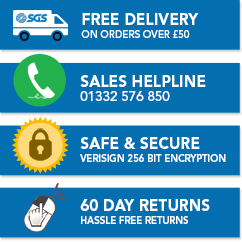 In addition to an extensive product selection, at SGS Engineering, we also offer excellent service. This includes free next dey delivery option, a hassle-free returns policy and knowledgeable staff who can answer all your tool-related questions. Contact us or buy online, to make easy work of material removal and demolition work.